Palm must have really nailed it with their “Life Moves Fast, Don’t Miss A Thing” ad. RIM today unveiled their next generation OS dubbed BlackBerry OS 6.0. While it’s not a traditional commercial, the promo video borrows heavily from Palm’s creative. This isn’t the first time this has happened, with Microsoft “borrowing” to promote Windows 7. As for us, we still prefer the original. 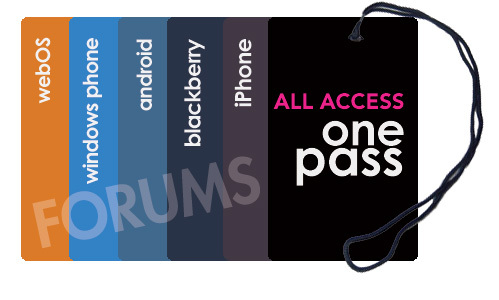 Palm is looking to capitalize on RIM’s recent outages with a new online promotion on their site. The ad proudly proclaims, "Palm smartphones include voice, e-mail, text, Web, calendar, and contacts. And most importantly, uptime. Connect to your Microsoft Exchange Server. No third-party servers and no nationwide blackouts." RIM has seen critical success with their BlackBerry Curve and BlackBerry 8800 devices, forcing Palm to play catch-up. This may very well change when Palm releases the much anticipated Treo 800w, rumored to introduce a much needed new form factor. No official word yet from Palm on the Treo 800w, though many expect an April timeframe for the release.